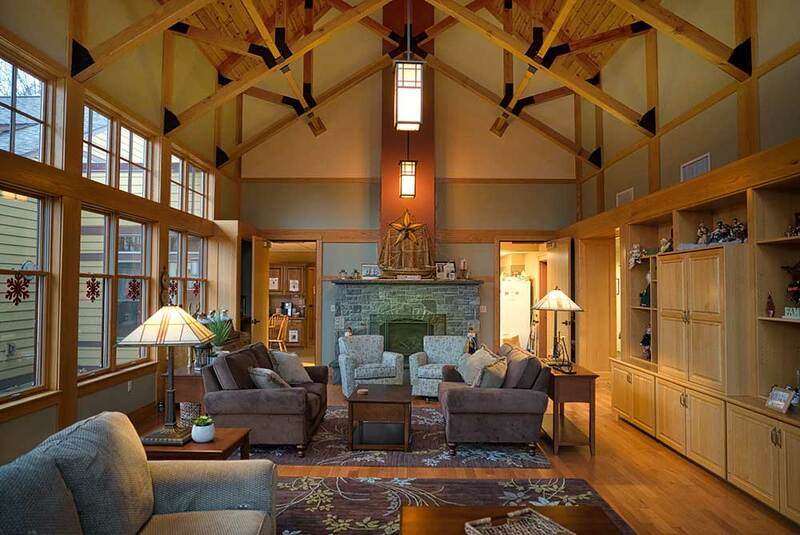 Built with private funds raised by a group of concerned citizens in 2006, the luxurious Nancy Dowd Hospice Home (NDHH) features eight upscale private patient rooms with the warm tradition of attention to detail, all located in the gateway to the Adirondacks on Steele Avenue in Gloversville. The MVH and NDHH team take pride in maintaining the essence of “home,” while operating at the latest state and federal healthcare standards. For 30 years, MVH’s interdisciplinary care team has focused on symptom management so patients or loved ones could focus on living. What matters most to you becomes the center of a care plan tailored to each patient’s individual goals and priorities. Whether establishing residence in the NDHH or visiting us for a five-day respite stay, MVH’s registered nurses, licensed practical nurses, masters-prepared social workers, certified home health aides, chaplain, massage therapists, aromatherapists, and pet therapists are just a few of the caregivers you may meet along your journey. 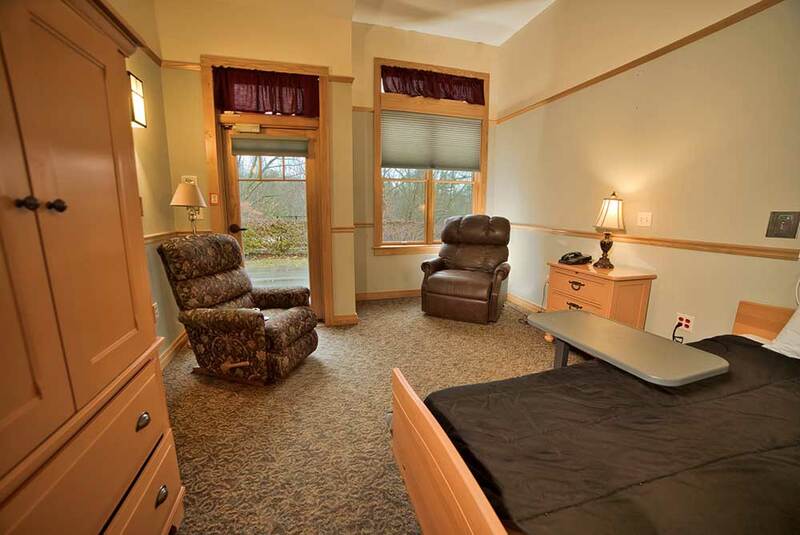 Each private room in the NDHH features cable television, Wi-Fi, local telephone service, recliner, bathroom, closet, and private entrance onto a patio overlooking either the gardens or hillside. The NDHH also offers a patient kitchen for meal preparation, as well as a communal dining room for patients or loved ones who opt to share a meal. Nutritional meals are prepared by the NDHH staff or trained Volunteers, focusing on individual patient preferences and dietary restrictions. Food is homemade and locally sourced to the best of our ability. The architectural focal point of the NDHH is the “Great Room,” a warm welcoming space that includes oversized couches, a fireplace, cathedral ceilings, window seats, and decorative French doors that access the patio and gardens. Patients and loved ones alike are invited and encouraged to watch TV, sit by the fire, or relax and decompress on the comfortable furniture. The NDHH nurses’ station is staffed round the clock with credentialed Home Health Aids, Licensed Practical Nurses, and Registered Nurses. 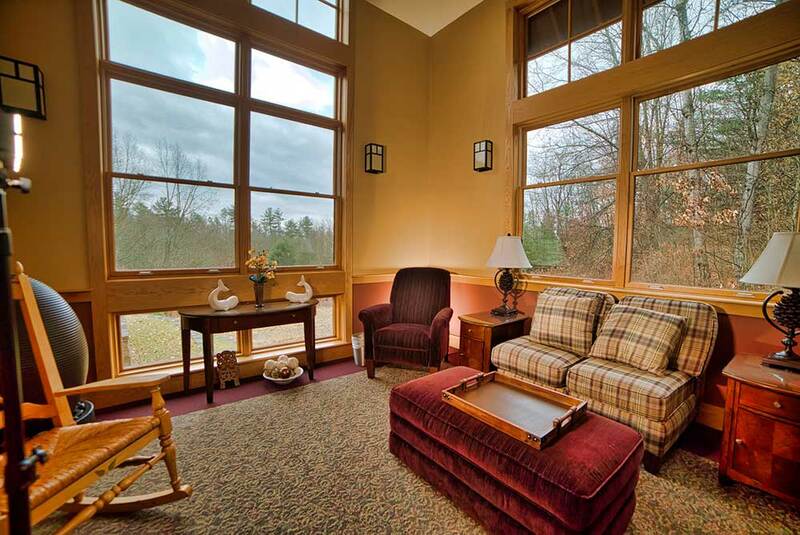 Loved ones also enjoy the NDHH Tranquility Room at the end of our building, overlooking the gardens and woods. 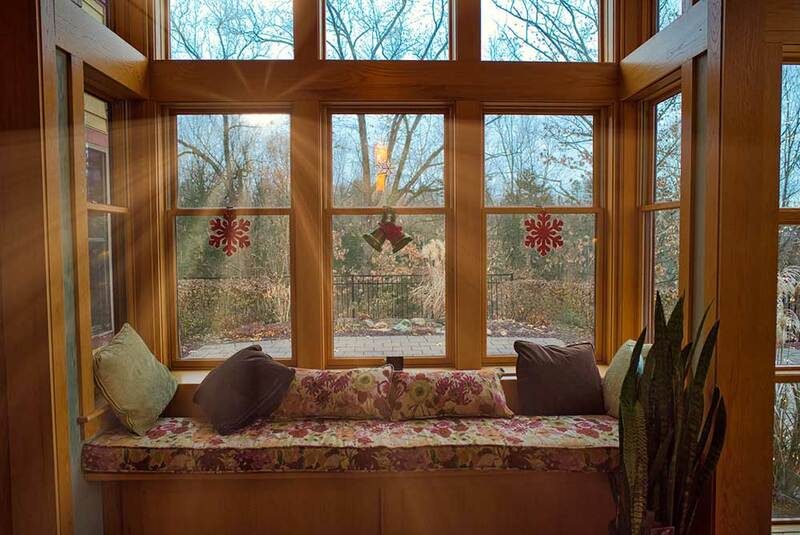 A quiet, peaceful room, it makes a perfect place to gather your thoughts, enjoy the scenery, or gather for a private family meeting. Music is an important part of healing at NDHH, and you will find instruments strategically placed throughout the building, including a piano, an organ, and a guitar. There are no formal visiting hours at NDHH. Loved ones may visit whenever convenient for them and acceptable to the patient. The main entrance is open 8am-4:30pm Monday through Friday to coincide with Business Office hours. However, after 4:30pm and on weekends, visitors are welcome to ring the intercom at the side door off our parking lot for access round the clock, again with approval from the patient. A one-night stay at NDHH is $300 out-of-pocket. Our experienced Social Workers can assist with payment options and insurance coverage. Please feel free to schedule an appointment to visit the NDHH or receive more information about an admission to service or a respite stay. You can reach someone 24/7/365 at 518-725-4545.